Many students can learn about the basics of marketing, standard terminology, and common practices in their college courses, but not everyone gets the chance to have a real-life experience that provides invaluable understanding in the field of marketing. The DMAW Educational Foundation’s Mentor-For-A-Day program provides an opportunity for students to visit an agency, shadow its staff, and get an in-person view of the inner workings of the firm where they’re assigned. And it’s not just the students who benefit from this experience. Mentor-For-A-Day effectively creates recruitment opportunities by allowing organizations to meet talented students who are eager to learn and are ideal candidates for open intern and/or entry-level positions. 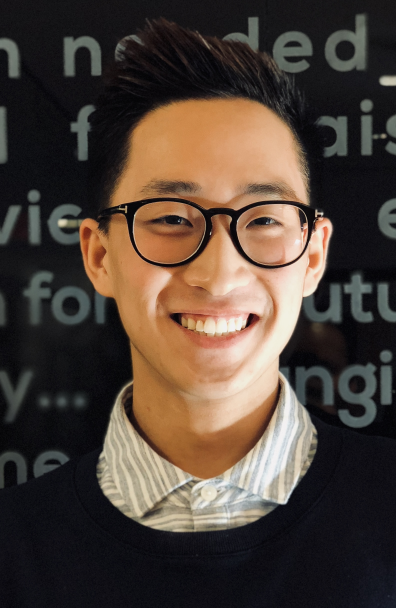 After his visit to our offices through Mentor-For-A-Day, CCAH was excited to extend an internship opportunity to John Kim, a senior at American University. Having been selected through the program, we were confident he’d be well-equipped to be tasked with projects at our firm. He’s proven that to be so. The world of direct marketing is not always for everyone. It requires adaptability in a fast-paced, client-driven environment and, above all, an interest and passion for the work that you’re doing. The Mentor-For-A-Day program helps in identifying a pool of students who can be prime for recruitment. As a student who came from Southern California to attend school in Washington, D.C. for the sole purpose of getting involved with government, it comes as no surprise when I say that nowhere in my life had I planned to end up where I am today. As a political science major at the School of Public Affairs at American University, I started my college journey looking to pursue politics and government. I worked with gubernatorial and congressional campaigns, got involved with political clubs on campus, went to lectures and talks – everything trying to immerse myself in the D.C. political scene. It was by chance that I took my first marketing course during my sophomore year when I was looking to fulfill one of my general education components for my major. Thankfully, I did because the course peaked my interest in the field and revealed to me the passion and thrill of marketing. From there, I began to gradually pursue marketing. I ended up adding more marketing courses into my schedule and ultimately declared marketing minor. All this would lead to my senior year when I would become involved with the Mentor-For-A-Day program. For my final fall semester, I took two marketing courses: Direct Response Marketing and Internet Marketing. In the DRM course, my professor noted an opportunity for students to accept mentorship for a day to learn the workings of an organization or agency. The selection of organization/agency would be according to individual interest. Not one for passing up opportunities, I applied for the Mentor-For-A-Day program and received a response notifying me that I would be going to Chapman Cubine and Hussey. (Side note: Pete Carter of CCAH came as a guest lecturer to one of my Direct Response Marketing classes). I came to CCAH on November 15, 2017, not knowing what to expect. However, through the Mentor-For-A-Day at CCAH, I was given the opportunity to shadow various employees from different departments, which showed me the work and gave me an insight into how concepts and materials that I learned in class applied in real life. I got a glimpse into the fields of data analytics, digital marketing, client services, list management, direct mail strategy, and telemarketing – all in one day. Just learning about the meaningful work that CCAH does daily, in addition to the impact that this work has on the community, no less, society, is encouraging and significant, to say the least. The experience I had at CCAH changed my perspective and my future career path, which is why I decided to apply for an internship at CCAH for the spring semester. Fast forward to today, I am continuing my spring internship with CCAH, gaining invaluable experiences every day, working on campaigns, and helping clients such as Guide Dogs for the Blind, Massachusetts General Hospital, and AARP. None of this would have been possible without a little bit of luck, CCAH, and the Mentor-For-A-Day program.